Notebook is a mobile-first product that combines video and text content to deliver best-in-class education according to school curricula. With productive engagement in mind, visuals and audio are used in a way to create maximum impact through short-form content. The syllabi across CBSE, ICSE and multiple state boards are broken down into topics and sub-topics. Every sub-topic is then converted into a script for the video. The videos include an instructor-led component as well as some graphic visualisation elements to reinforce the storytelling. Besides the sub-topic video, there are short recap videos to recapitulate the key learnings as well as solved questions provided in the video form. To enable further reading, text notes and solved questions are provided.All of this is delivered through mobile apps and a web interface, which runs on a robust architecture hosted on Google Cloud. The product also classifies the solved questions into categories by difficulty level. At completion, the product will cater to 16 boards, teaching 6 subjects in English as well as 10 vernacular languages. The content would also be regularly updated, based on students’ feedback. We are being guided by eminent luminaries from the academia. The brain behind the brand is Achin Bhattacharyya, a Chartered Accountant, whose last stint was with Deloitte as a director. 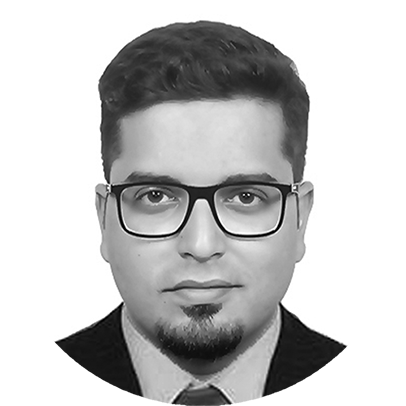 He has worked in India and abroad in various senior roles in GE, PwC, KPMG and Deloitte. After taking a sabbatical for three months he traversed the length and breadth of the country and spoke to Students, Parents and teachers to understand the challenges that they face and the need for creating a more engaging and immersive learning experience which can help in shaping up the young minds during there formative years. Further, he took this up with acclaimed academicians across various globally renowned universities and institutions to understand the exciting irreversible transformation of digital education across the world. Achin had spent his schooling years in a small mining town which is 230 Kms from Kolkata and has very closely watched his Grandfather, who was an acclaimed engineer at the forefront of some of the landmark projects of that era take an early retirement from his successful career, to come back to his native place and devote his time in imparting free education to school children of that area, he often said that nothing is more satisfying than passing on your knowledge and wisdom to your future generation and contribute towards a better tomorrow. Achin is an avid reader and traveler and has keen interest in Economics, History, Literature and Philosophy. He is a regular speaker at various forums and also contributes articles in numerous publications. Achin is also on the board of some of the most renowned corporates and contributes in terms of the brand strategy. At Notebook Achin takes care of the strategy, team building, content curation and brand communication. He is ably supported in his pursuit by his co founder and first cousin Subhayu and a strong team of exceptionally capable and driven individuals most of whom have worked with the best Indian & Global brands and are achievers in their own right, however more than academic excellence what sets this winning team apart is their exemplary values and work ethics. Subhayu started his career as a Civil engineer with L&T Construction in rural Andhra Pradesh. During this time, he started noticing the stark information divide that existed between urban and rural India. After finishing his MBA, Subhayu used to work for a Telecommunications Services company and was posted in Africa for an extended period of time. During this time, he set up a Business Unit across Africa and Middle East and travelled extensively across the region. Seeing abject poverty in sub-Saharan Africa and contrasting affluence in Middle East, Subhayu had been thinking of ways to use mobile technology to bridge the economic gaps that exist in the society – both in India and abroad. 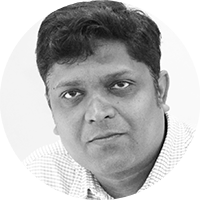 Subhayu came back to India in 2014 and led the South Asia business for a Media MNC. During this time, he came in touch with content creators and studied the emerging OTT phenomenon. The more he studied the evolving content consumption patterns of Indians, the more he was convinced that therein lay the solution to a larger socio-economic problem. In 2017, Subhayu started working with Achin to articulate the gaps in the school education system in India, and possible models to address them. He is tasked with ensuring the right mix of creativity, functionality and technology – to help build a better future for India. Mr. Ashok Ganguly was the Chairman of the Central Board of Secondary Education (CBSE) for 8 years. As Chairman, Mr. Ganguly introduced several reforms to reduce student stress, raise the levels of learning and modernise the systems and parameters of student evaluation. Underlining the need to develop new skills for the new age, Mr. Ganguly introduced Higher Order Thinking Skills (HOTS) in school curricula. He worked towards the empowerment of the heads of institutions and teachers alike, and promoted innovative classroom practices to ensure quality framework in education. As a former Provincial Civil Services officer, Mr. Ganguly served in several departments of the UP Education Department. As a prominent member of the National Steering Committee and the Central Advisory Board of Education, he played an important role in the development of the National Curriculum Framework 2005. He was the Chairman of the Ganguly Committee on Nursery admissions. Even after retirement, Mr. Ganguly remains actively involved in the development of pedagogy for Gen-Z students, and is an active advocate for using technology in education. 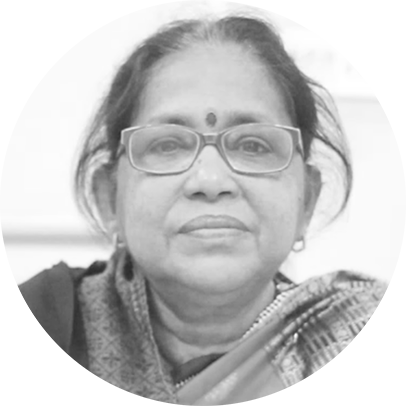 Dr. Mrs. Minakhi Das has had an illustrious career in education spanning 40 years. Dr. Das has been the Subject Expert at the Board of Secondary Education, Odisha, for 23 years, and has also served as the In-Charge of the Controller of Examinations. She has also been the Coordinator of the Syllabus Committee. Prior to her duties on the Board, Dr. Das had been a teacher with classroom experience in excess of 16 years. She was the Coordinator of all the 27 Syllabus Committees and the Correspondence Course committee of the Board. She superannuated on 31st July 2018 as Senior Academic Officer and Branch Head of the Academic Division. 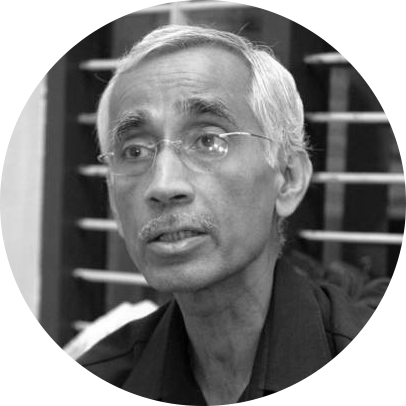 An accomplished writer, compiler, reviewer and translator of textbooks and vocational texts, Dr. Das is also the Coordinator of the State Open Institute of School Textbooks. She has authored over 45 journals, academic publications, novels, poems and short stories.